and you’re unsure how your make-up or outfit will look in natural lighting. and all visitors – never step foot in a poorly lit room in your home again? With so many options on the market, it can be difficult to determine the lighting that suits your home best. First and foremost, you should ensure that light sources are placed so that your light emanates from above, below, and both sides of the mirror. This technique is called cross-lighting, which is used with the purpose of eliminating shadows. It eliminates shadowing in your bathroom, allowing you to have a proper view of not only your bathroom accessories, but your makeup and hair as you’re getting ready to start the day. To ensure energy efficiency, we recommend exploring LED lighting options. With a long lifespan that uses approximately 85% less energy than halogen or incandescent lights, this option provides an excellent source of lighting with a feel-good efficiency. LED can also achieve the same amount of lumens while using a smaller light source. A recommended option to explore are electric mirrors. With the ability to provide light while de-cluttering your room, electric mirrors provide forward lighting for excellent visibility. This is a great option as they come in many sizes including customizable and as a medicine cabinets for more storage. It creates a very clean space where de cluttering is key. Have we mentioned we love lighting? 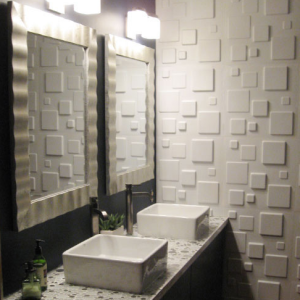 TV mirrors are a great addition to the modern, sophisticated bathroom. 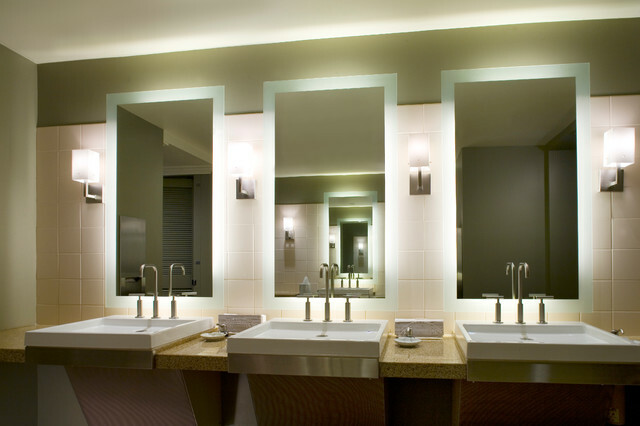 With an appealing feature that is sure to impress any guest in your home, TV mirrors provide an urban addition to your bathroom, while also providing lighting. You can place them in all wet areas including showers, above your bathtub or integrated into your mirror. Of the utmost importance is lighting control. To ensure your lighting is appropriate for any time of the day, control of your these features is integral to your bathroom’s atmosphere. We recommend exploring dimmers or occupancy sensors, adding a sophisticated element to your home. From lighting and bulb options to control of your bathroom, we want to ensure that the next time you walk into your bathroom, you feel comfortable and proud of the home you have created. When I first started MDK Designs in 2003, I had no idea how fulfilling and exhilarating this business would be. Creating spaces that are intimate in nature, functional, beautiful and balanced has been a dream come true. Meeting and working with so many wonderful clients, while transforming their homes and businesses, has been more than I could have ever imagined. As excited as I was to begin this adventure back in 2003, I am even more excited to introduce the next transformation of MDK Designs in the form of my brand new website and Image. Through this new website, I want to give you a look into my world of interior design and decoration. With a new digital design, I am very excited to launch new and innovative ideas online for my clients and readers in the Wellesley, MA , Weston, MA, Boston, MA and surrounding areas. What can you expect from this new look and design? I encourage you to read my blog regularly and visit my Twitter and Facebook page to share your thoughts and feedback. Additionally, if you love what you see, contact me to talk about transforming your space. I am so very passionate about interior design and the work I do with my clients. I can’t wait to share new ideas and innovative spaces with you as you begin your very own transformation. Can you believe it’s already Spring? With interior design ideas brewing around-the-clock, we’re so excited to dive into some incredible trends for Spring 2015. From pastels to geometric shapes – and everything in between – below are our Top 6 Trends for Spring 2015. 1. Pastels. We really couldn’t be more excited about this one. For Spring 2015, there is a move toward cooler, and softer hues that sku on the cooler sidel. With understated brights and pastels, think nature and neutrals – two things that suit any home. Pastel colors brighten and illuminate your home. 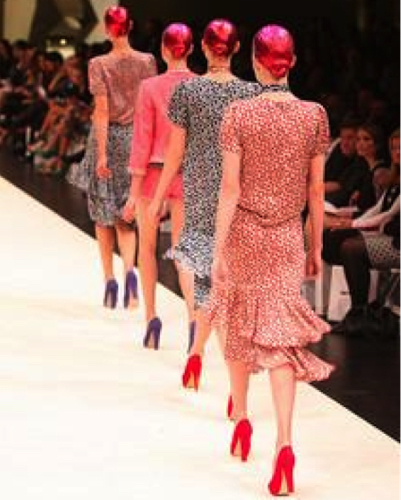 This inspiration is surely coming from the runway and right into interior design. 2. Accent Pieces. Accent pieces are the perfect way to bring a pop of color and interest to your home. From a mohair throw and silk wall fabric to a geographic rug pattern and stacked leather containers , accent pieces add style, texture and color to your living areas. Don’t be afraid to browse around for unique pieces that will bring character and reflect your personality. 3. Quirky Stripes and Graphics. Why stick to the straight and narrow when it comes to your home? After all, your abode is an extension of your personal style. Bold colors, patterns and unconventional graphics are not only for the runway…bringing them into your home is an amazing way to incorporate a variety of effects and a tailored look that is fashion forward. 4. Sculptures. Much like unique accent pieces, sculptures will be making their way into homes. Acting as an addition to both walls and shelves, sculptures are the perfect mix of traditional and modern, fused into one. Sculptures are more exciting than the traditional vase and compliment any space. 5. Eclectic Wall Ornaments. The days of keeping square frames grouped with square frames and circular images grouped exclusively together are gone (and that’s a great thing). Expect to see an assortment of eclectic wall ornaments with multi-faceted frames and color palettes. 6. Vintage Prints. We love vintage prints at any time of the year, but these elements really pop in the Spring. Integrate these with your modern-chic interior or or find that perfect print and frame to hang in your master bedroom, living room or hallways. Have some fun with the search! Who’s ready for the Spring? We certainly are. With ideas brewing in our notebooks and compiling palettes around-the-clock, we couldn’t be more excited to see what Spring has to offer for interior design. Ready to chat more? Connect with me on Twitter and Facebook. After acquainting yourself with our top trends for Spring, you’re likely fretting about all of the interior Winter decor you need to store away and save for just a few more seasons. Equipped with knowledge of the best interior design tips and tricks, we have compiled our suggestions for organizing your home and preparing it for the Spring. The often dreaded – but always appreciated – closet organization. 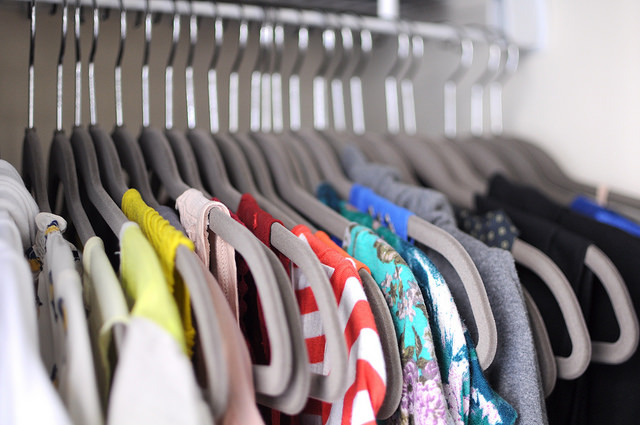 Once every season (at the beginning, if possible) take out all of the clothes in your master bedroom closet. All of them – each and every one. Decide which items you need to keep and which items you can donate, sell, or pass along to friends and relatives. Will you really be wearing that red blouse again? Has that sweater defied the odds and stood the test of time, or is it ready to be thrown into the donation hamper? Although this is never an easy task, it’s necessary – and fulfilling, we promise. Stick by the rule, If you haven’t worn it in a year, it’s time to give it to someone who will, this will keep you organized in the future. If you’re a fabulous home chef, or if you simply like to whip up a fresh salad and organic chicken every once in a while, it’s time for kitchen cabinet organization. From your utensils drawer to your pots and pans, take inventory of what you have. Do you have space for a new juicer? Do you really need that extra, extra large pot for your family of four, or can you pass it along to someone else? Let you kitchen cabinets shine and feel like new again. Once you remove all your cabinet clutter, you will realize that you can live without that apple slicer after all. We get ladies – we all love our shoes. Unfortunately, some of our attire just doesn’t last the way it used to (or we’ve put so many miles on them, it’s just time for a change). Take inventory of each and every pair of shoes around your home and decide whether or not you will be using them in the Spring or ever again. If your shoes are so beat up not even the best shoe cobbler can save them, up it’s time to put them in the trash pile. .
For those Winter boots that we absolutely need in these Boston snowfalls, be sure to keep them around – but perhaps place in storage until November arrives once again. Much like we suggest with your closet and shoe storage, visit each and every room in your home with an open mind. As Spring comes upon us, it’s time to reflect on our interior design dreams and goals for the upcoming season. Take inventory of your home – and don’t be afraid to use a critical eye. Does your living area need some TLC, or is your bathroom ready for a refresh? With the flowers beginning to grow and the sun shining through the clouds, Spring allows us to reflect with an open mind. Organization comes in many shapes and forms to individual people, but we hope our recommendations will help lead the way for you. Are you planning on organizing your home this Spring? Share your photos with us on Twitter. We would love to feature them in an upcoming blog post. We invite you to read, comment and share our MDK Designs Blog. Here you’ll find the latest posts about what’s new and trendy in interior designs; both residential and commercial. 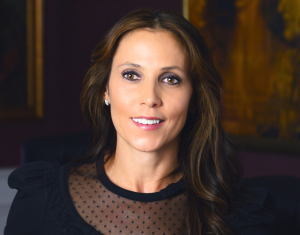 Exclusive interior design and decorating tips for the homeowner and business owner.